The cinema was packed and tense with expectations: we were going to see our story, our history, our culture on the big screen. I knew what was going to happen, and indeed the first scene of the movie made sure any viewer would. Nonetheless, my eyes were glued to the screen following the nuanced unfolding of characters and storyline – complete with Scottish accents and beautiful shots of the highlands. Although this was a familiar tale, based as the movie is on historical events, it illuminated a depth to the characters in a way that surprised me. What struck me most was the precarious position of a woman in power. In fact, it was ultimately proven to be impossible – trusting men led Mary to her fate. Elizabeth may have remained on the throne but in the process gave up her womanhood and claimed to have become a man. The portrayal of men in this movie was truly disheartening, as Mary was used, underestimated, and hurt even by the men she most trusted. Because of this trauma, a peculiar bond of trust and mutual respect developed between the two women who were posited as rivals. Mary and Elizabeth seemed the only ones able to understand each other. Yet the movie gains depth as it shows that it was not easy to be a man either – especially one with homosexual inclinations. This is a story set almost 500 years ago, and yet its message seems pertinent even now. It depicts the inevitable tragedies when people are faced with the pressures and expectations laid on them by society. In the face of this, some characters crumble, some reinforce the expectations, and others try to show strength and remain true to themselves. Either way, everybody suffers. 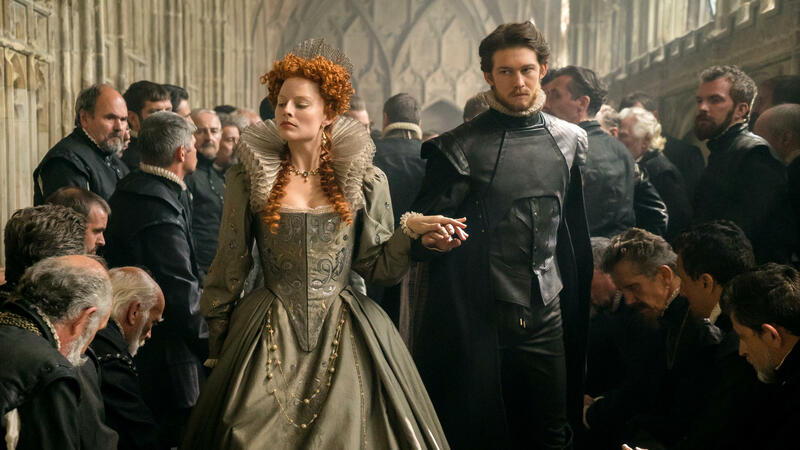 Yet the movie reinforces the legend of the courage and beauty of Mary Queen of Scots, encouraging us to take her strength, pride, and perseverance as an example for ourselves. Mary Queen of Scots is screening until Thursday 31 January at Glasgow Film Theatre. Sign up here for a free GFT 15-25 Card and get tickets for £5.50!